From Cannes-winning sensation to Foreign Language Oscar frontrunner, Hungarian writer-director László Nemes’ debut feature “Son of Saul” is the year’s most essential moviegoing experience. The drama, now playing in select theaters via Sony Pictures Classics, reopens the wounds of the Holocaust in a way no cinematic narrative has ever attempted. Shot almost entirely in close-up on 35mm in a box-in 4:3 aspect ratio, the movie traps the viewer in a hellacious point-of-view experience. Nemes’ staggering direction brings an urgent energy to the story, but it’s ultimately the groundbreaking performance from 48-year-old newcomer Géza Röhrig that shatters the fourth wall. Röhrig plays Saul Ausländer, a Hungarian-Jewish prisoner in Auschwitz who works as a Sonderkommando member, burning the dead and cleaning the gas chambers. When he comes across the body of a boy he takes for his son, Saul embarks on a mission to bury the child, all while a growing prisoner rebellion takes shape in the periphery. Despite the inevitable tragedy he faces, Saul remains bound to this singular task above all, remaining as stoic as possible as the world around him falls into chaos. 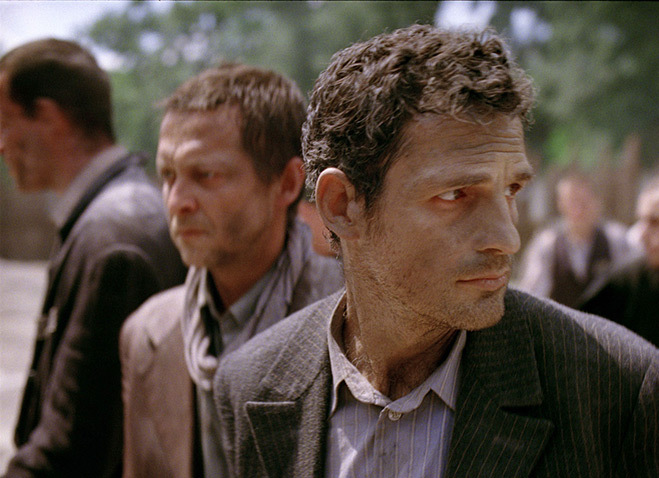 Given Nemes’ claustrophobic blocking, the entiriety of “Son of Saul” and its brute emotional impact falls on the face of Röhrig, and what an impassioned, weary and revelatory face it is. Saul doesn’t say much over the course of the film, but Röhrig is a force of internal reckoning. In person, he’s just as quiet and emotionally reflective. He takes his time to respond to questions and to collect his thoughts, giving answers as powerful as the film itself. 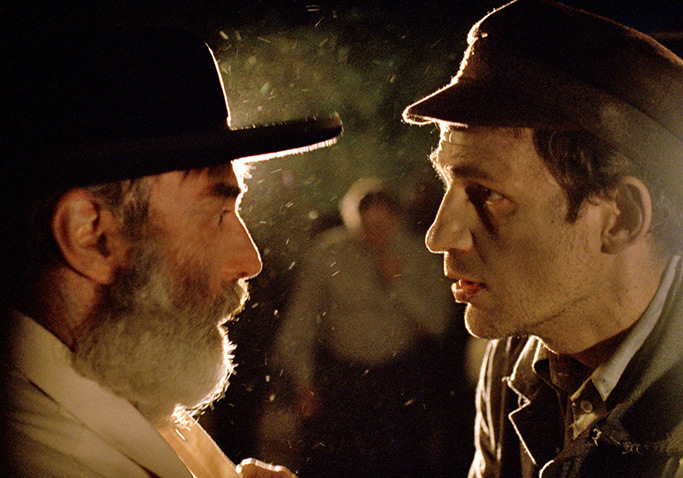 Sitting down with Indiewire earlier this fall to discuss “Son of Saul,” Röhrig spoke openly about the film’s intentions to course-correct cinema’s representation of the Holocaust. Throughout the discussion, it became abundantly clear just how essential of a role “Son of Saul” plays and will continue to play in remembering the Holocaust. 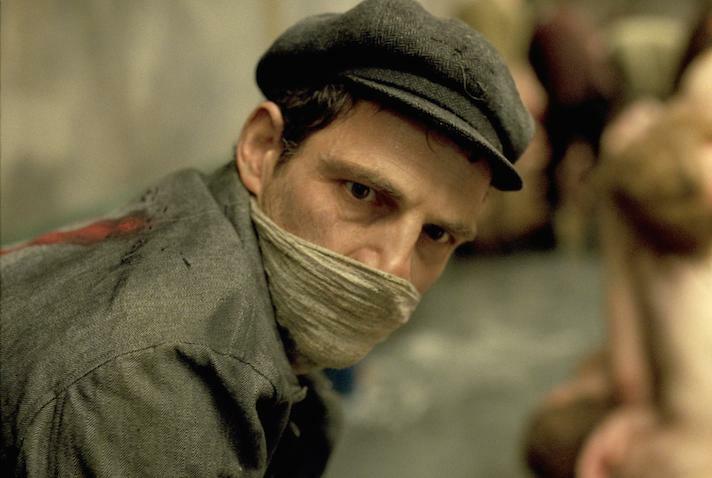 Not to take away from the importance of other films that have remembered this time in history, but one thing that becomes very clear after watching “Son of Saul” is that past Holocaust films have played it alarmingly safe and accessible. No one has ever experienced a representation like this. The chaos in this film is more than palpable, it burns through the screen. I would assume there are at least a thousand or more documentary and films done about this subject, and yet the cinematographer, László and I, when we sat down first together, we just shared this sense of frustration and even disappointment with the genre, which by and large I would simply label as unsuccessful if we’re talking about witnessing and, importantly, testifying for the Holocaust. Why has that been the case? These movies mostly are focusing on the survivor and/or the rescuer, while the historical truth is that two out of three Jews were murdered in the Holocaust in Europe. Why are all these movies concentrating only on the lucky third? There should be movies that are done about the overwhelming majority. Every single survival was due to a systematic error. No one was allowed to survive, so we’re not being fair and serving justice for the dead if we keep telling these narratives about how x, y or z made it through. We understand, of course, the human instinct to move on from this dark moment of history, but the truth is unpleasant at times and we were just not ready to make that compromise and sacrifice, so to speak. It’s bad enough the Holocaust happened, but if it happened, then let’s learn from it. The condition of any sort of healing is to admit it and to confront it for what it is and not to sugarcoat it, not to “Disney-fy” it and not to make it into a “Hollywood something.” That was our goal: To make a visceral, experiential movie that doesn’t try to interpret. Nobody is smart enough to understand where was God and all these huge questions; all we can do is to take you there, to the here and the now of 1944 October, and to take you to the most troubled zone of the camps. The camp was was divided into two regions. Where the Sonderkommandos were located, they were separated, they were quarantined and not allowed to sleep with the other inmates, so we wanted to get right into the heart of the matter and this center of the hell and to see and to show the full extent of the demonism that the Nazis set into motion by forcing Jews to burn Jews. The role of the Sonderkommando members is something that is rarely seen on film, let alone discussed in textbooks or in classrooms. That is, I think, why it’s so important. We want to let the world know that this extremely cold-minded, suffocating system basically was interested in one thing: How can we kill the most Jews with the involvement of the least Germans? How can we disassociate from our actions so that the actual murderers are both physically and psychologically removed from the outcome of their deeds? The red cross ambulance car was driven by a Jew, the Nazi came out in a well-ironed uniform, put a gas mask on, got the poison and threw it out into the hall and then left. He didn’t have to face the screaming, he didn’t have to deal with the stench of opening the door of the gas chamber, he didn’t have to take the golden teeth out, burn the hair, cut the bodies, pulverize the pelvis bone. The whole thing, the dirty work so to speak, was left to the Jews. I think it’s a tremendously important thing to show to the world now for two reasons: One is because the survivors are dying, so we’re losing the living link to what happened, and I think the awareness of the Holocaust might fade in the coming decade. That would be tragic, not because it’s a parochial Jewish issue, but because we’re talking about a genocide, it’s a human event. The target could be someone else next time, and it has been throughout history if you look at Cambodia, Rwanda, Darfur and the rest. The other is because of the technology that develops right now. We are in the state where there is no Sonderkommando left. The Sonderkommando that militaries are using now are softwares. The distance between the murderer and the murdered is even greater now. It’s people operating at an underground base with a mouse in their hands, and they click and then some building far away somewhere is being bombed down. It’s even further now, which means people do not feel the responsibility for their actions one bit. This is, unfortunately, the prospect of the 21st century, it’s not too promising because there would no need to keep stirring this wound unless we wouldn’t be so scared to see that history did not turn the page yet. We are still witnessing the cruelty around us that was so manifested during the Holocaust. The driving force behind the movie was to somehow appeal to vigilance, to constant reflection. Why do you believe it took so long for a narrative to approach the material in such a visceral way? Realistically speaking, if this movie, the way we have done it, had come out in the 50s or the 60s, people would have lynched us. The world and Jews were not ready to face this story yet. I know this very well. I’ve met Sonderkommando members, and I know how embarrassed they were and how much afraid they were for their own friends, just to tell them honestly and share to them and confess to them exactly what capacity they were in while at these camps. They hid that because of the [hate] they might have faced and the consequences. I think now enough time has passed to tell this very sensitive part as well. I read that you dropped out of high school in order to join an anti-communist rebellion, which in some way is the opposite approach Saul takes in this story. While everyone around him is preparing for an outward revolt, he is rebelling against the system in a more internal way. How did you interpret Saul’s perspective? As far as rebelling and doing whatever I could against the regime of the communists, that was absolutely developed from my understanding that the Soviets had done it before Hitler did it, and that Hitler was intimately aware of the Gulags and he knew exactly that Stalin, without facing any huge uproar or resistance, was able to kill masses in Siberia. When I was kind of doing what I could in high school against the communists, it was deriving from the same moral sense that I felt obligated to do because it’s just another twin totalitarian system as the Nazis. And then you have Saul, who is absolutely revolting in his own way. I do believe if there is a lesson to be learned from the Holocaust it’s this: Authority, in general, and political power, in particular, if it goes unchecked, then anything can happen. It is our obligation as civilians to protest and to resist. Having said that, I kind of lost faith in revolution. I used to be much more romantic. I thought systems could be overthrown and other systems can be introduced. I’m a little more skeptical now because I went through, in the 1990s, this idea of freedom being introduced in Hungary, and by now I think my generation is oddly disillusioned in terms of what sort of general responsibility Hungarians who are living side by side, for example, with gypsies, which is the largest minority in Europe, and they are terribly underprivileged and all that. The level of help and care is just really, how can I say, depressing. It’s just plain depressing. For what I think Saul did, and the way I tried to live my life as well, is that instead of sparking revolution collectively at large in society, I try to focus on my own life. Saul is revolting on a level higher, I believe, than the rest of the gang. For everyone else, it’s a very legitimate and animalistic instinct to get the hell out of here, so these people just wanted to escape to save their skin. But for Saul, he’s basically denying the context. There is something eternal for him, there are certain moral views, some base values, that are not affected to time and space. We can all agree there at least three of those: Feed the hungry, clothe the naked and bury the dead. No matter what religion or age you belong to, these three are just it. He came to the conclusion that he is going to do whatever it takes to do the right thing and bury this young boy, which is a singular human activity, because no animal does that. He’s going to hold on in this madness. I think in a sense Saul is God’s last witness. Basically his behavior represents the conviction that there is something more than survival. That’s a very important thing to say in such a day and age where everyone is only involved with his or her own, but Saul is doing something for someone else. Is it challenging to subject yourself to these horrors as a performer? The movie takes Saul to the most hellish areas of the camp. Even as a viewer, it’s hard to come back emotionally from the experience. Let’s not pretend for anything second that I was put in danger. I’m an imitator, I’m a simulator, I’m just an actor. I tried to understand by reading the accounts of Sonderkommando members what sort of a state of mind it required to go about their duties day by day, what sort of protector armor of empathy they had to have. There’s no other way to survive — they had to stop thinking, stop feeling. At the point when Saul meets the boy, he’s dead. It’s very paradoxical because the death of the boy resurrects Saul. It’s a singular death, it’s a death that first comes out of the boy surviving the gas chamber, which is a sign of a miraculous event. That’s what grabbed the attention of Saul, and Saul felt gratitude for the boy because he felt something again. He was able to notice the death among the hundreds of thousands of deaths he had witnessed that made him totally numb, but here he is feeling something again. Out of gratitude, he owed one for this boy. And what good can you do for a person who is dead besides burying him? The challenge ended up not being so much the shooting, but it was the rehearsing. As actors can tell you, when you are rehearsing, you show a part of yourself, but you’re not fully in charge of what part of yourself will be shown. When you are shooting, there can be no surprises, because you have to be fully in control of what part you’re deciding to show. And yet the sets are so detailed and worn in, it seems like it would have been hard to disassociate yourself as an actor from what scenes you were playing. In some ways, but we meticulously paid attention to detail so that we wouldn’t deviate from the historical accuracy of what these camps looked like and how they operated. We had to in order to properly testify. As we talked about at the start of this conversation, we saw so many movies like “Life is Beautiful,” for instance, and others, which we thought were outrageously fictionalized. When Roberto Benigni comes to the microphone and sends some sort of love message to the woman’s side of the camp, it’s just — I don’t even need to comment on how ridiculous that is. It could be fair if there was no real Auschwitz, but with so many people being murdered there, I think it’s really borderline, not even ridiculous, it’s just inappropriate and insulting. We had experts to help us with everything, even the language. There is another movie called “Grey Zone” by Tim Blake Nelson, and that’s the only feature movie I know that was trying to talk about the Sonderkommando, but it lost me in the first second of the movie when they started to talk in English. In Auschwitz, there were 18 languages, but English was not one of them. When he gets up and he says, “How are you?” it’s already tainted for me. If you really wanted to do as much as possible in every way — the uniforms, the clothing, the set design — you have to be accurate. It’s the only way to properly testify and remember. “Son of Saul” is now playing in select theaters.